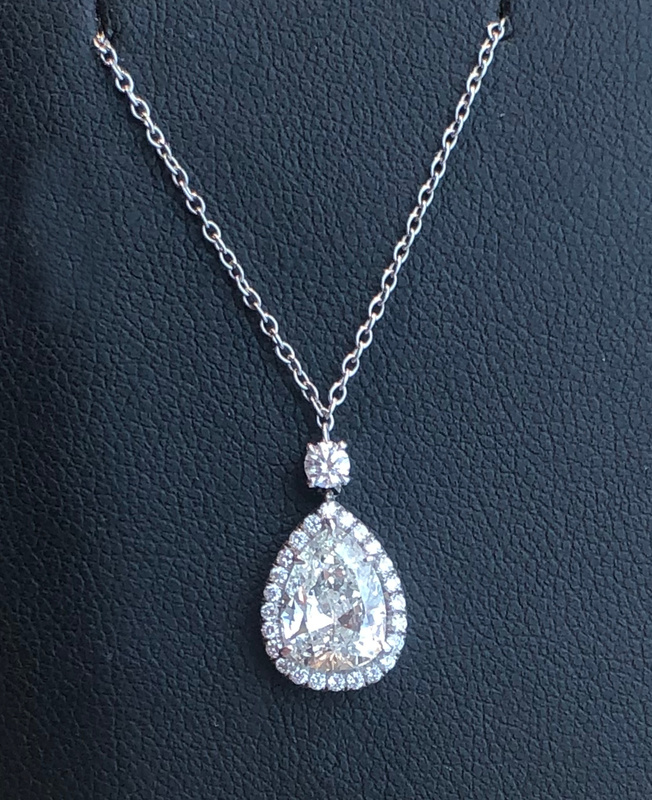 There is nothing quite like this exquisite pear shape diamond pendant. Surrounded in a halo of diamonds, this 1.32ct pear diamond catches light in all the right ways! This stunning 4.78ct ruby ring is set in platinum with a diamond weight of 1.00cts. 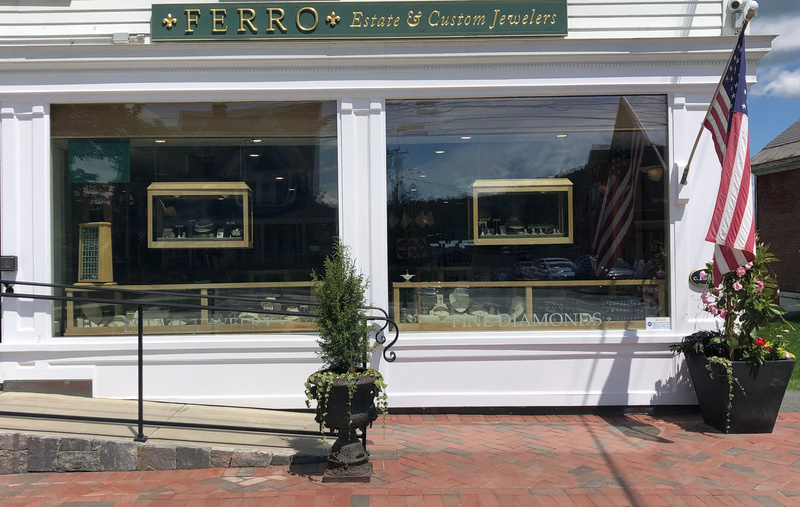 Would be a perfect addition to your jewelry collection! This sparkling 14k white gold diamond tennis bracelet has a total carat weight of 3.00cts and is a must have for jewelry collection. 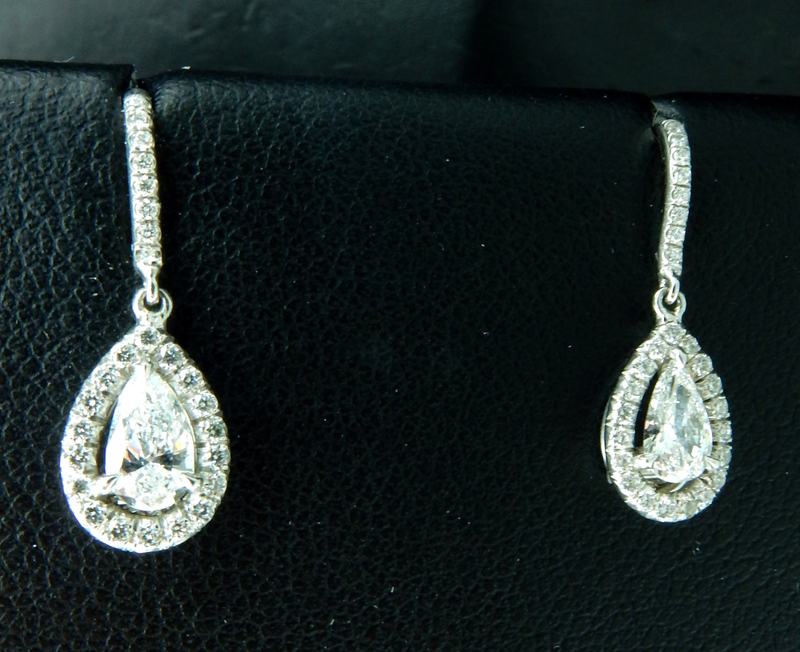 These bright pear shape 0.70 total carat diamond halo tear drop earrings are set in platinum. This platinum Art Deco bangle has an extraordinary look containing 1.50 carats of diamonds and onyx. 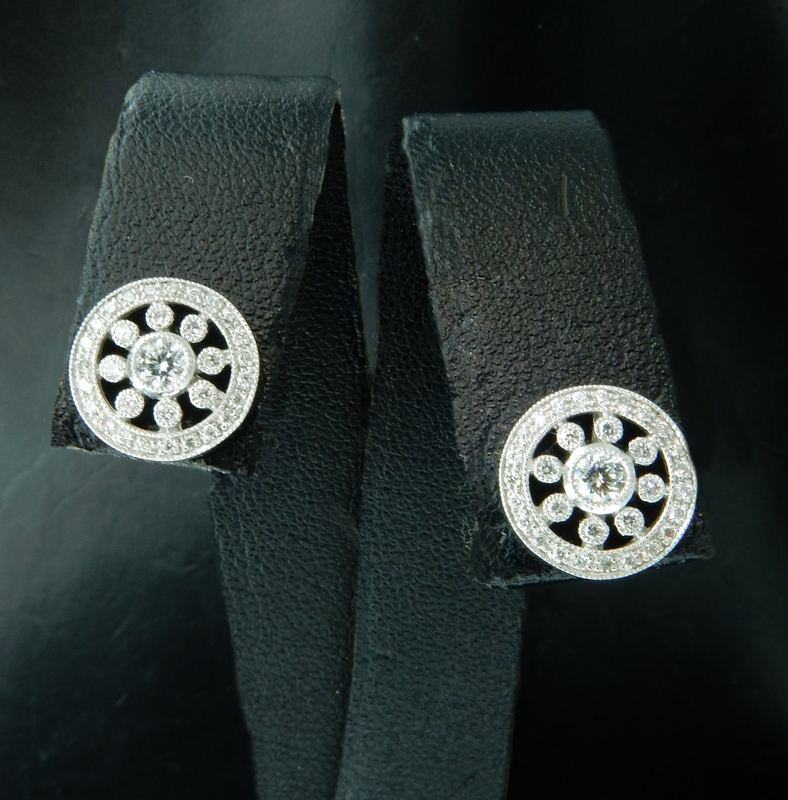 These ornate round stud earrings have a delicately flowering middle. 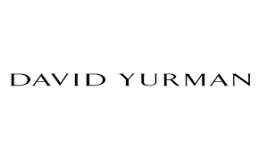 Set in 18k white gold, they have total weight of 4.50 cts. Simply put, this black opal is breathtaking. 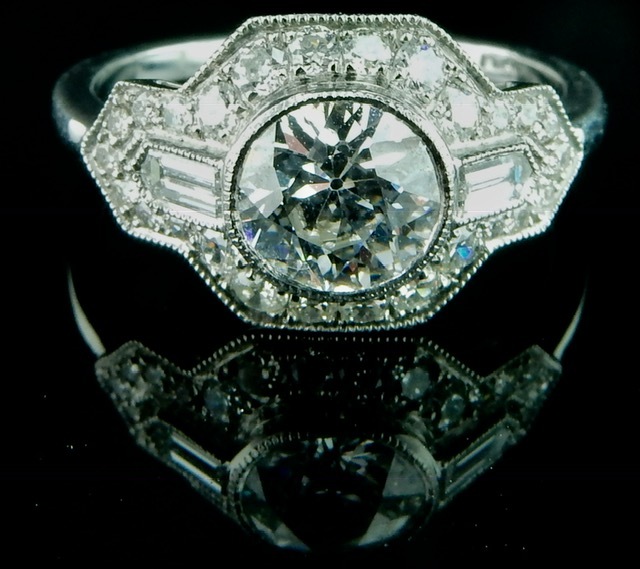 Weighing almost 8 and a half carats, and adorned with high quality diamonds, this ring will surely turn heads! These are adorable- a cluster of stunning square cut sapphires drop just below the earlobe catching light in all the right ways! 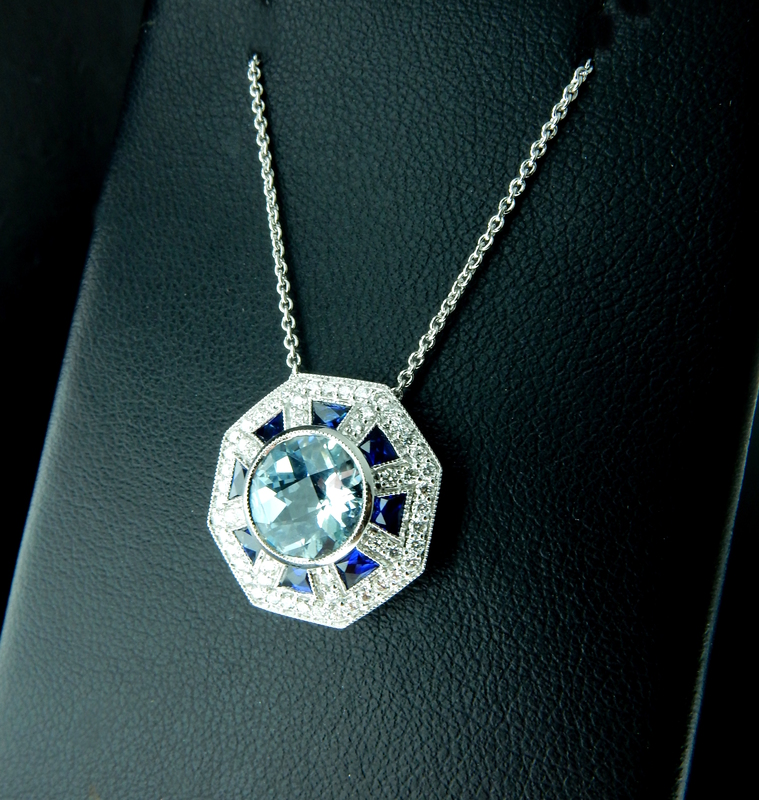 This one-of-a-kind pendant mixes the rich hues of sapphire with the delicate aquamarine and a splash of diamond to create a truly special look. This unique but stunning ring speaks for itself- Delicate detailing will surely captivate and impress! 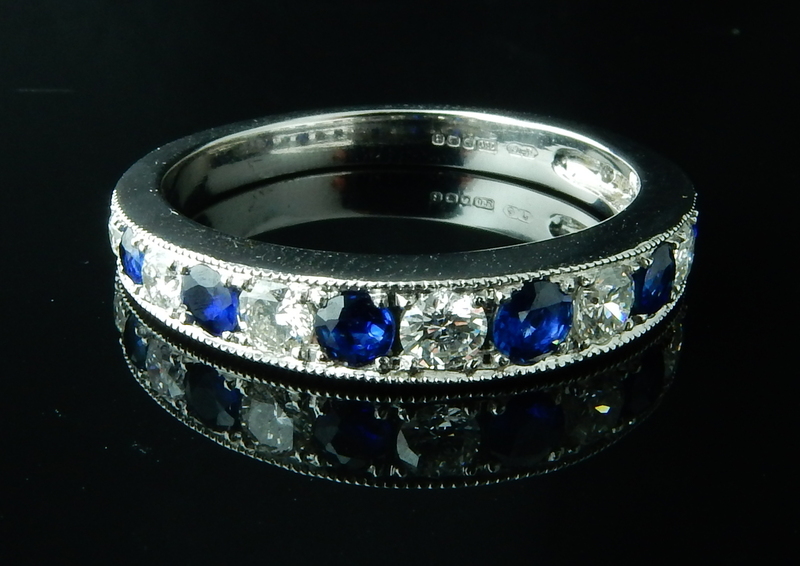 The delicate detailing of milgrain and gentle graduating of sapphires and diamonds makes this a perfect ring! Simply put, this ring is AMAZING. 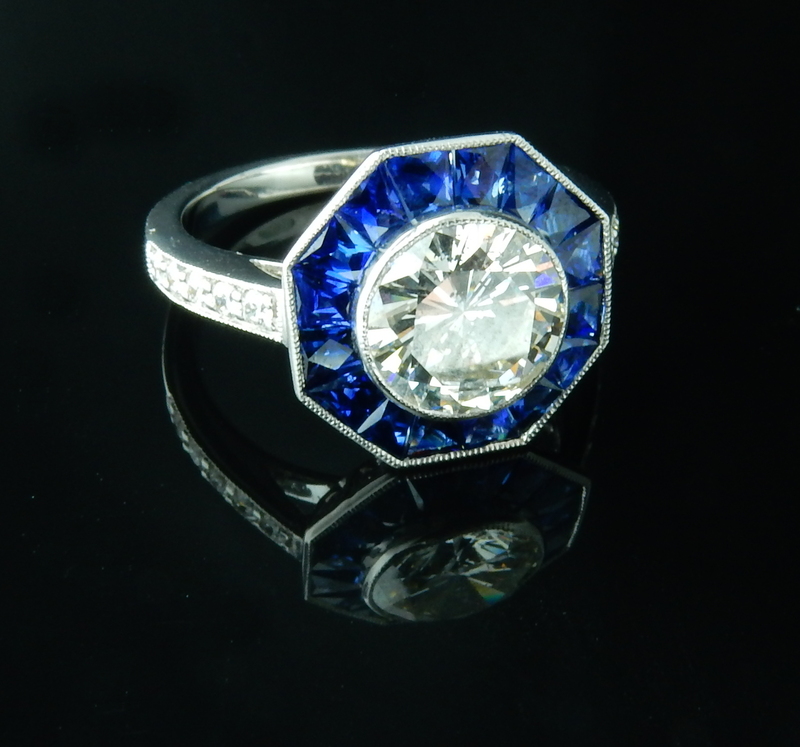 With a certified center diamond, flanked with some of the most stunning sapphires we've seen yet, this ring will surely draw attention!